Located just 90 miles from the United States, Cuba is a world apart in many respects. For decades, visiting Cuba was impossible for nearly all Americans, but today, this traveler’s jewel is just a cruise away! With the largest fleet at sea Carnival offers sailings perfect for the whole family. On a Royal Caribbean Cuban cruise, you can visit a number of historical sites and gain a deeper appreciation for Cuba’s history. When you have finished your tour of Cuba, your Royal Caribbean itinerary could head to the Bahamas or elsewhere in the Caribbean, where you can relax on the white beaches and swim in the turquoise waters. Enjoy two full days and an overnight in Havana, with an all-inclusive onboard experience including unlimited drinks. Take a stroll along the Malecón, the quintessentially Cuban thoroughfare; enjoy traditional Cuban fare; explore the world-class art collection at Museo Nacional de Bellas Artes; sip a daiquiri at Hemingway’s favorite haunt, El Floridita; or happen upon a live jazz group and savor the moment in this unique corner of the Americas. Grandly proportioned and recently enhanced, ms Veendam offers an onboard experience defined by spacious comfort and the latest amenities. 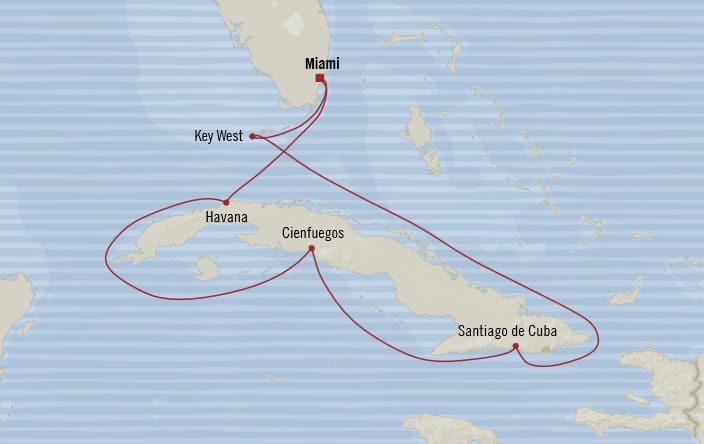 This cruise includes an overnight in historic Havana, as well as a stop in Cienfuegos, and such Caribbean ports as Grand Cayman, Jamaica and HAL’s award-winning private island Half Moon Cay in the Bahamas. 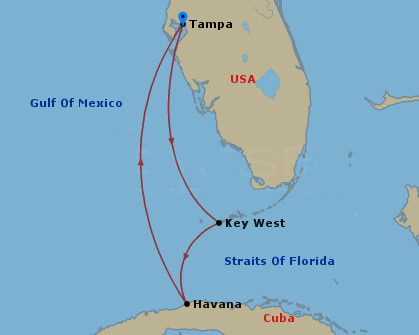 Circle the island to visit Havana, Cienfuegos and Santiago de Cuba, as well as Montego Bay, Jamaica. Celestyal Crystal’s yacht-inspired design and classic teak decks evoke an intimate atmosphere. Step aboard and enter a world where modern technology meets grand era of ocean travel. Enjoy comfortable staterooms and suites, elegant restaurants, bars and lounges, spa and fitness rooms, as well as promenade decks, where you can revel in the splendor of a starlit ocean sky. Visit President Harry S. Truman’s Little White House on the waterfront harbor of Key West. Admire the stunning views from the upper terrace of Castillo de San Pedro de la Roca, a fortress in Santiago de Cuba that has been declared a UNESCO Word Heritage site. Near Cienfuegos, visit the grand mansions and palaces of the UNESCO World Heritage site of Trinidad, a Spanish colonial settlement built on the fortunes of the sugar industry. In Havana, see the room in the Ambos Mundos hotel where Hemingway used to write and was immortalized after he passed away. This all-inclusive adventure is for small groups of 16 or less. Get to know Cuba on this unique eight-day journey through the islands of the Canarreos Archipelago aboard an exclusive catamaran. Snorkel the crystal-clear waters in search of colorful fish, relax on the beach, and dine on fresh seafood. Any of these itineraries pique your interest? Call us today at 707-525-0550 to get more information or to book your next adventure!